In 1988, Robert Putnam conceptualised diplomatic negotiations as a two-level game in which national and international politics often collide. In this framework, constituents and interest groups (labour unions, activist groups, etc.) pursue their interests at the national level by pressuring the government to adopt favourable policies. At the international level, governments attempt to meet the pressures and demands of their domestic constituents, while at the same time minimising the possible adverse impact of developments abroad. The interaction between the two levels manifests in the fact that a leader who ignores domestic pressures or who favours domestic politics above international issues will be unable to successfully ratify or negotiate a treaty at the other level. Thus, as Putnam argues, ‘the political complexities for the players in this two-level game are staggering’. In a recent study, we explored how digital technologies influence the two-level game of diplomacy. We focused our analysis on the ratification of the Iran Nuclear Agreement by the United States Congress. Once the Iran Agreement was signed in April 2015, the Obama White House faced a daunting task: obtaining support for the deal from a sceptical Republican Congress. However, the White House did not only seek congressional approval via traditional means; rather, it turned to social media. The incorporation of social media into the conduct of diplomacy is often referred to as digital diplomacy. 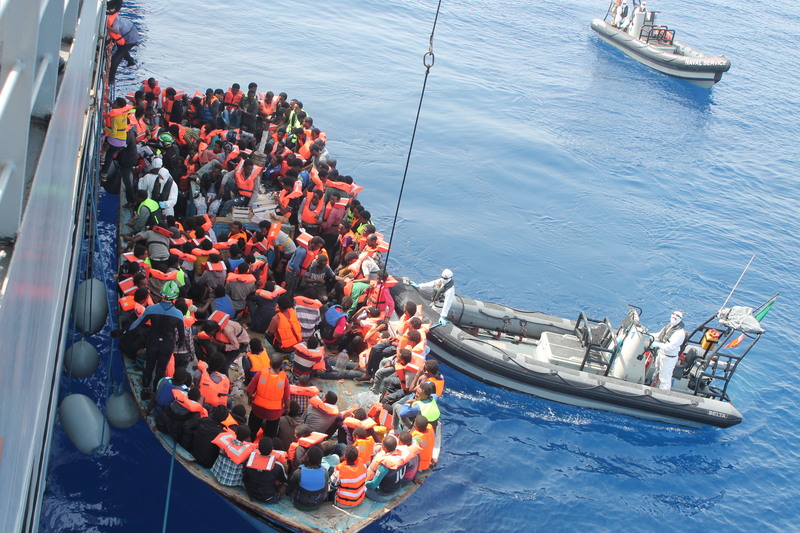 Recent studies have demonstrated that foreign ministries and diplomats have migrated en masse to social media platforms and that they use these primarily for public diplomacy activities or attempts to engage with foreign public audiences. The Obama administration decided to employ the same tools to engage with the American public and garner support for the Iran Agreement, with the aim of translating this into a congressional resolution of approval. To do so, the White House launched a dedicated Twitter channel, @theIranDeal, through which it could communicate with the public. It is our contention that the Obama administration’s use of Twitter to secure domestic support for an international accord is a form of domestic digital diplomacy (DDD). We define DDD as the domestically oriented use of digital platforms by governments in support of their foreign policy. It is distinct from communication campaigns organised by state authorities in support of domestic policies (for example, education, public health, etc.) in three respects. Firstly, DDD is conducted by institutions with foreign policy responsibilities, such as ministries of foreign affairs (MFAs). Secondly, it has a clear foreign policy focus as these institutions seek to advance the foreign policy agenda of the government among the domestic population. And finally, it harnesses the power of digital technologies to reach its objectives. Our study focused on the digital strategies employed by the White House. Specifically, we examined three activities which comprise the practice of digital diplomacy. First, we analysed the White House’s ‘broadcasting’ by examining the arguments it employed to sway public opinion in favour of the Iran Agreement. Next, we evaluated whether the White House ‘listened’ to the digital publics’ reactions to these arguments or, in other words, whether it altered its arguments following public feedback. Finally, we examined whether the White House ‘engaged’ with its Twitter followers in two-way conversations, such as by answering followers’ questions, addressing possible misgivings or offering requested information, all with the goal of building coalitions with online publics and networks of influencers. Our study explored these three categories of activity during three week-long periods in 2015. The White House used Twitter to suggest that Obama’s foreign policy was based on science and facts, rather than opinion and fake news. Our analysis suggests that the Obama administration employed several arguments to build domestic support for its foreign policy. One of these demonstrated the dangers of non-ratification of the Iran Agreement, including the loss of any ability to inspect Iranian nuclear facilities, a reduction in the time it would take Iran to develop a nuclear bomb and Iran’s increased influence in the region. The second argument stated that the Iran Agreement would lead to peace and greater regional stability, thus preventing America’s involvement in another costly Middle Eastern war. The third argument stated that the agreement had already gained wide support in both liberal and conservative circles while the fourth suggested that it was based on verification not trust. This final argument acknowledged that Iran could not be trusted and therefore claimed that the agreement was instead based on hard science. Another important aspect of the White House’s broadcasting activities was refuting opponents’ arguments in near-real time. Throughout the period of study, we found multiple instances of @theIranDeal channel countering arguments made by US Senators, Congressmen, journalists and pundits. We concluded that the White House used Twitter to highlight the dangers of non-ratification, frame the agreement as the only verifiable method of curbing Iran’s nuclear ambitions and suggest that Obama’s foreign policy was based on science and facts, rather than opinion and fake news. Importantly, the White House often employed arguments that would resonate with both foreign policy hawks and doves such as the need to bolster Israel’s security once the Iran Agreement had been ratified. When examining differences between the first and second time period, we found that the White House omitted several of its arguments. In 5 of 6 cases, the omitted arguments were those that received the lowest numbers of retweets and likes. As such, these results suggest that the Obama White House listened to follower feedback and tailored its arguments to the audiences it was attempting to engage with. Similar results were obtained when examining differences between the second and third time periods. Lastly, the analysis of the ‘engagement’ component demonstrated that the White House failed to converse with its followers. 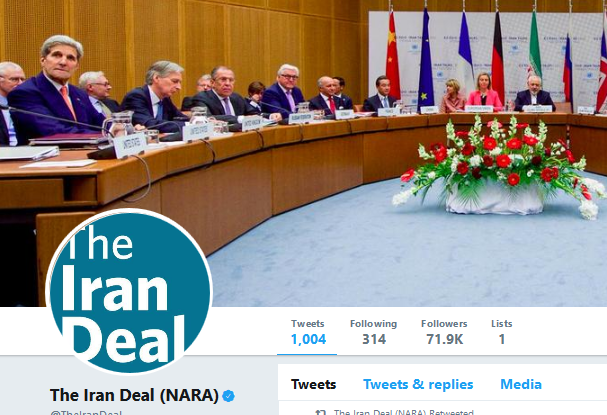 While President Obama did hold one Q&A session on Twitter, the @theIranDeal channel did not reply to followers’ queries, supply information on demand, address comments or initiate conversations with followers. Thus, the White House used Twitter mainly as a one-way tool for public broadcasting. This study aimed to understand how the Obama administration used digital platforms to manage the interplay between the international and domestic levels of international negotiations. The results demonstrate that governments can increase their chances of ratification through three social media activities of DDD. The first is ‘broadcasting’: crafting messages and calibrating arguments in such a way that they maximise the appeal of the government’s foreign policy. The second activity is ‘listening’, in which digital representatives tailor messages to the target audience feedback and refute other actors’ arguments in real time. The third is ‘engagement’, which builds coalitions with supporters and bridges with opponents. As digitalisation has dramatically increased the ability of online actors to counter government communication, we expect the issue of DDD to become more prominent in the coming years. MFAs will likely face a growing demand to monitor the activity of foreign opponents in the domestic public sphere, map their arguments and refute them in near-real time. Corneliu Bjola is Associate Professor in Diplomatic Studies at the University of Oxford and Head of the Oxford Digital Diplomacy Research Group. His current research interests relate to the impact of digital technology on the conduct of diplomacy with a focus on strategic communication and digital influence as well as on theories and methods for countering disinformation and propaganda. His latest co-edited volume (with J. Pamment) is Countering Online Propaganda and Extremism: The Dark Side of Digital Diplomacy (Routledge, 2018). Ilan Manor is a digital diplomacy scholar and a D.Phil candidate at the University of Oxford. His research focuses on diplomats’ use of digital technologies during times of geo-political crises. Manor's book, The Digitalization of Public Diplomacy, will be published by Palgrave Macmillan in 2018.